How often should I replace my CMOS battery, and what does it do, anyway? - Ask Leo! Replacing a computer's CMOS battery isn't difficult, but since CMOS batteries last so long it's often not even necessary. In all desktop PCs there is a battery – what is the purpose of this battery and how long does it last before it has to be replaced? Does the replacement of this battery affect the BIOS of the computer? I’ve had a PC for 6 years now and never replaced the battery. one … which quickly becomes annoying. The good news is that, as you’ve seen, they typically last for years. “CMOS” stands for “Complementary metal-oxide-semiconductor”, the original technology that was originally used in some of the circuitry that the battery was used to power. While no longer the case, the term “CMOS” or CMOS battery lives on anyway. 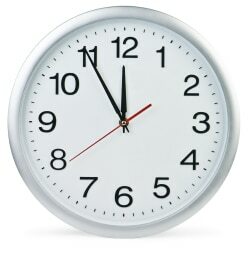 The purpose of the CMOS battery most often today is simply to allow your computer to remember what time it is. I think of it as a glorified watch battery. If the battery dies or is removed, then when your computer boots it will have forgotten the current date and time. Typically the CMOS battery no longer affects whether or not BIOS settings are remembered. Most of those settings are kept in a type of dedicated flash memory, not unlike the kind that might be inside a USB flash drive. In the past, back when the battery was actually powering “CMOS RAM” to retain those settings removing the CMOS battery would cause your BIOS to lose not only the date and time, but also any customizations you might have made to the BIOS configuration. The reason you still need a battery is very simple: no matter what happens to the computer, be it unplugged or turned off, the clock needs to keep running in order to keep track of the current time. I think of it as a glorified watch battery. If the battery dies or is removed, then when your computer boots it will have forgotten the current date and time. And that’s by far the most common symptom: one day you boot up your machine and it think’s that it’s January 1, 1980, or some other random date years in the past. That’s when it’s time to replace the battery. For the record, I’ve never proactively replaced the battery. I just wait until it dies, and replace it then. These batteries last so long that more often than not the computer is old and no longer in service anyway by the time that happens. On desktop PCs the battery is typically relatively easy to get at and replace. All you need do after removing power is open the case and look on the motherboard and it’s likely there. Laptop users have a harder time. Not only are laptops typically not designed to be easily opened, the components are often in hard to reach places. It’s not uncommon to partially disassemble a laptop in order to reach the CMOS battery. I did have one case where I just let the battery die and didn’t replace it … it was too difficult. I’ve avoided a lot of specifics because, quite frankly, the specifics vary tremendously from manufacturer to manufacturer, and even from battery to battery. Some might last a year or two, others a decade. Some BIOS will lose only the time, others will lose more. Some machines are designed to make it easy to replace the battery, others not so much. My advice: don’t worry about it until your PC starts losing the current time and date on every boot up. Then check with your computer’s manufacturer for instructions on replacing the CMOS battery, and which battery to replace it with. Can I replace my processor with a faster one? - Replacing your computer's CPU will depend on your motherboard. But there is actually another option to get more speed. « Previous post: What is the System Idle Process and why is it using most of the CPU? It’s been so long since a computer of mine has had the CMOS battery die, that I honestly couldn’t tell you what would happen on any of the computers I currently have. But, as you said, back in “the good old days”, that battery kept every BIOS setting you had, and removing it would reset everything to the manufacturer’s default. While most systems use a standard CR2032 battery, I did see one system years ago which used some customer-looking battery that was actually soldered to the motherboard. Needless to say, we didn’t replace it when it died. I found one of those soldered on batteries in an old 386 from the ’90’s that I have kept for nostalgia’s sake. I did replace the battery on mine. It took me 15 minutes. I spent 14 minutes rounding up my solder and waiting for my mini soldering gun to heat. The other minute was spent actually replacing the battery. I just left the old one in place and worked around it rather than risking prying it off the Mobo. A random thought here. I have had computer troubles fairly recently where one trick recommended was to re-seat the CMOS battery. Is there anything else that the battery can influence? It should be noted that the CMOS battery may not be used at all when the machine is plugged in (or in the case of a laptop, when the main battery is present). Therefore its only function would be to keep the time if the computer was unplugged or the laptop’s main battery removed. I have an older computer and the CMOS battery powers the BIOS 24/7. It died. I would replace it if I knew were it was. Just can’t find it. I removed my CMOS battery from my Mecer Laptop for +- 10 min to flash the BIOS as i had a Worm that was corrupting my computer. I first tried a fresh re-installation. This did not work. Now that i removed my CMOS – thinking that the worm might be corrupting my BIOS, My Screen just stays off, No POST when booting up. My CPU runs and the Battery light does come on. The HDD light does flicker when the laptop is turned on. How can i get my screen back on and how can i use my Laptop now. NB: I did recal removing the RAM so i could get to the CMOS battery. You removed the CMOS? That’s the problem – PC’s require the CMOS be in place and the BIOS be installed in order to do anything. Yep, Leo is so right here. Hi, When I did boot up the laptop, the CMOS was in place. Everything was in place as it should be. NOW THAT’S ASTOUNDING. i just dont understand why the laptop screen doesn’t come on. By removing the CMOS and putting it right back, Would this remove the BIOS? Any Other Suggestions. More than likely he set a random password, if so there’s no way to recover if you don’t have the bios password. If your lucky he cleared the password, try not entering any password and hit enter. If that doesn’t work your only chance is send it back to the manufacturer to be reflashed, or find a pre programmed bios chip for sale on eBay and desolder old chip and solder new chip. Assuming you can’t simply remove the battery to clear CMOS etc. there still should be a way to clear the CMOS in cases like that with jumpers on the motherboard to reset things back to their default settings from manufacturer. There is no way you would need to reflash a chip over a password setting in the BIOS. i was having problems with my software shutting down for no reason, i replaced the cmos battery, and now everything is working with no crashes.i wasnt sure if this would fix the problem, but i had to try the cheapest way first. it was simple to replace, and i got it in a two pack at walmart for 1.99 in the watch section. just glad it wasnt somthing major. May be, you can help me, i have a laptop acer aspire and then suddenly its keyboard, touchpad usb port does not work. My question is what may be the cause, I ask someone that have knowledge and he said that it may be the cmos battery. But when i open my laptop i might see a battery but it is attached with the motherboard. Can you help me by answering if the cmos battery can cause this? And if that’s so, what can i do? Actually I’d be surprised if it were the CMOS battery. Sounds more like a loose cable or other hardware failure inside the laptop. I’d have a technician look at it. My comment is no longer relevant but I would suspect hardware failure of some sort. Was the computer dropped or gotten badly wet? Sounds like something fried. i am having problems with my Acer L320 mini pc.. the cmos battery is dead i think, so am i able to get it other than going back to acer? It uses a different battery though..CR2032CL-3.. any help? can a low cmos battery affect the lcd display of a laptop? I have a mecer laptop. The problem I have is that when I press the start button to boot . I can only hear the fan run for about 10 seconds and then everything is dead again. Whan can be the problem ? I have a Dell desk top that is practically new and wont boot up.I last used it about 2 years ago. I noticed there is a green LED light working on the motherboard when plugged in. If the CMOS battery is dead, would this cause the system not to boot up? Thanks. I have a problem with laptop. model:lenovo 3000 Y5oo model.I don`t have “Bios” psw.Now I want get that.how it will do that.can any one explain..
& I want to chang my OS vista to sp. You’ll have to contact Lenovo to see if there’s a way to reset that password. Hi, Leo. I 1st replaced my cmos battery a couple of years ago. My pc had sat unused for several mos. during a move to another city. On my ist boot I noticed my AVG security settings were not working properly. Finally I rechecked the clock settings and noticed that the year setting had reverted back several years, probably before AVG was born. I replaced the cmos battery and as soon as the pc date, time and year got syncronized with the AVG settings, (just a few seconds), everything was back to normal. I didn’t realize AVG was dependent on the pc’s time. Thank you for the services you provide to us struggling “techies”. i would like to ask you about my problem .. can you help me please ..
My pc it was working fine but Suddenly Display Not Working but when i remove the battery and re plug again my pc working fine .. just i want know what is the link between battery and display ..
I’m having major problems with a “Toshiba Tecra 8200 Windows XP 256 MB 4.0 laptop”. the old 3300mah main battery with a new 4400mah which was not holding a charge any longer. An”Error message appeared”:”Remove incompatible memory”…so I did,and reinstalled the original one. then start windows normally,and last message was CMOS problem press F1. It is also running very hot on bottom! The only way I restarted it was:*I pulled out both memory sticks slots A & B then I push reset slot on front a few times. both memory sticks,battery and held:PWR+F2…booted then hit D to boot. I have gone through this for a month now. Sorry for the lengthly letter but I wanted you aware of all going on here.Todah,Thank you very much .Michka’el. You should replace it when it says Error : User not yet born. Hi, i changed the battery of my desktop but i still have to press f1when the computer starts and adjust the time.should i change the settings after changing the battery? Hi, there is a setting in bios that disabled this. Works for me. After changing the battery, it is necessary to reset the time and date just like you would with a battery powered clock or watch. Absolutely, a computer will RUN just fine without a CMOS battery. It’s simply that if the computer is turned off (and in some cases the power also needs to be unplugged) then it will forget what time it is, and possibly other BIOS settings will revert to their default state. Hi have an e442 notebook, 2 years old, every time i boot, time and date resets, and sometimes have a blank screen, that clears after about 10 mins, but other than that everything ok. replaced cmos battery, but still the same, found a sort of solution, removed the the main battery, and increased percentage of cpu power from 5% to 100% and everything is fine, unless i refit the main battery, then time and date resets again, but no more blank screens. Hello, I have s Asus K50IJ laptop that was at a tech-lab for couple of months because i was having trouble turning it on. the technician said that the reason was that there is a power problem in the mother board circuit. only after taking out and putting back in the cmos battery it would instantly turn on the laptop even before pushing the power button. windows will load up and every look ok but sun after turning of the machine again same issue can’t turn it on only with taking in and out the cmos battery again. the technician said the there is nothing wrong with the power button witch doesn’t seem to turn on or off the laptop. how can the cmos battery be the issue??? if its only for keeping the time??? he said taking out the battery causes a power drain from the motherboard so after putting it back will only temporarily but the issue is with the power circuit of the board . is he right about that?? does expired lead problem on switching on pc? If you are referring to a dead battery, it should still allow the computer to boot. The date and time settings would be off, but the computer should work. A friend has given me a Dell Inspire 1100 from about 2005. The machine will occasionally boot to part of Windows XP but then dies. I would think the battery is dead, however it also performs as above on mains. I have tried removing the”Static” by holding down the start switch with no battery or mains power – this seems to work but only as above. This a.m. I have removed the mother board to access the CMOS battery (small and soldered in), I intend to replace this using a bigger diameter which I will hang outside the laptop. If this works I will report back !!! I have an 8 year old computer which sometimes works and sometimes doesn’t. I tried reinstalling Windows. It took 3 attempts to install, and now it runs, but with problems. Bottom line: sometimes a machine just stops working after many years. I have two Dell laptops with cmos batteries in good condition – indeed one of them is brand new. Yet if I remove the main battery on either for any reason then I still have to reset the clock on start up. Both batteries feel loose and so need some method of securing them. I just wonder why two machines should have exactly the same problem unless, of course, this is a design fault. My time and date has gone wrong. I’ve had my desktop computer for 8 years and probably should get a new one. In the meantime if I don’t replace the CCMOS battery will anything else happen to my computer, like crashing etc? Normally on most modern computers, the CMOS only affects the clock, but that doesn’t mean you won’t have other problems. For example, an incorrect clock setting can cause problems with certain websites. Not generally, no. If your CMOS battery is dead (and it seems like it is) then you’re mostly just faced with resetting the clock every time you power on the machine. (Depending on the machine it may be enough to leave it plugged in, or you may want to leave it running). my dell laptop does not boot up,it only powers on when I press power button and for about 5 seconds it goes off by itself..what really would be the couse of it?please help..thanks. Could be almost anything, though it sounds like some kind of hardware problem. I would have a technician look at. I have a Dell desktop (core i7) and when I came back from a weeks vacation it would not start up. There was power at the power supply (green light on) but when I pressed the on/off button nothing happened. After reseating the memory and trying various thinks I replaced the CR2032 battery and it came back to life. I went and reset the time/date and the PC was working fine……….for about 72 hours. Then it would not start again. I pressed the button a nothing happens. Went and got another battery and replaced the previously new battery and the PC is now working as normal again. Any idea what’s happening? Second battery went dead after four days. I have three different OEM motherboards for desktop computers. Each of them uses the same Internal CMOS Battery model. CR 2032 3Volts 1 Centimeter in width. Makes me think that this model is Standard in the industry. Must be nice being rich enough to buy a new computer before the CMOS battery dies. I recycled a ten year old computer with its original CMOS battery still working, and I have a seven year old computer with its original CMOS battery. I’d say for most people, a computer should outlast the CMOS battery. You don’t have to be rich. They last a long time. After I replaced the battery I cannot get it to connect to the internet, what am I missing? Hi, yesterday I was trying to used my desktop but everytime I hit on, it runs, but nothing on display. I thought it was just a faulty cable or something so i test on different monitor, the problem is, my mouse and my keyboard doesn’t have a light on it, both are plug in to the cpu unit. all hardwares are fine so I watched clips on the internet to fixed this and ive been stumbled about cmos battery and stuff. i removed the cmos and wait for a few minutes (5mins long i think) and then i put it back. I switch on and wait but still nothing happens. is this because my cmos battery died? should i replaced it a new one? how long does cmos battery last long? its lifespan? your comments will be a big help. thanks and Godbless. already replace the cmos with a new one. hoping that it could fixed the issue. but… it aint. please help. I would have a technician look at it. Hello Leo , i see this thread has been going for a few years…it may outlast many cmos batteries! !… I have a 9 yr old HP dv6000 My issue is with my keyboard, it has begun to just type shortcuts and the track pad will zoom instead of scroll . I have checked all the keyboard settings. I have uninstalled and reinstalled my drivers. I even installed a totally new driver with the same results. I Tried the on screen keyboard , and it acted the same as the regular keyboad,only shortcuts. I attached a usb keyboard and it also acted the same way . A system restore had no effect as well . I have run spybot, housecall, malewarebytes,avast..thye all came up with nothing . It occasionally works fine ,then will switch back to only shortcuts ( n opens a new window ,s opens a save as window etc). My last step, thanks to this thread will be to switch out to a new battery . This is just a shot in the dark, but I’m wondering if you might have a stuck ctrl or alt key or something like that which might be affecting the mouse and the on screen keyboard also. I have an issue after my battery went dead on my desktop hp. I replaced the battery as the pc wouldnt boot into windows and it suggested battery was dead. After replacing the battery I am asked to press f1 to save new setting but now the usb keyboard no longer works. The number lock button is lit up on the keyboard but no buttons do anything therefore I am stuck. I tried the keyboard on another computer and it works fine. I have tried all the usb ports and I just cant get the keyboard working. Here is one no one can answer!! If a laptop is left off for lets say two years and the cmos battery goes dead therefore forgetting time and date will internet explorer loose all its settings like delete history after 20 days? Lets say you knock the laptop back on after two years if the clock is wrong surely that means internet explorer would still have browsing history from two years previous as it cant relate to the clock to keep track of time, i,e delete history after 20 days? Something I wlawys wondered about. IE should still have it’s history, as that’s stored on the hard disk. Yes but will the history be lost as settings are 20 days to delete and it’s now 2 years? Depends on what the clock is set to (for example if the clock still thinks it’s two years ago, then so will every program), and whether or not you actually RUN IE. If you don’t run IE it won’t clean up the history. And if I do run internet explorer it would delete? Let’s say I browse on 1 January 2000. Then on computer is off for 2 years. Let’s say the battery dies in the meantime and the time reads 1 January 1970. And then when I knock back on the computer 2 years later the history is from 1 January 2000. If it’s set to delete after 20 days will it still delete even though it’s now looking at -days instead of +days? I have leveno y55o laptop facing problem . it does not starts even no light is on except charging light . battery is new and fully charged. Please advise me. I wonder why my 2 Asus rog board lost bios settings when I swapped their batteries? I guess rog boards are not high end enuf to remember settings w/o batt. I replaced my PC battery afterwards, everything worked fine like the time and skype connection, however I cannot access my web browser because a screen pops up saying that the time and date are not correct. Make certain that your timezone is set correctly. I have a Dell Inspiron 15 3537. 5 years old. All of a sudden it stopped working no sign of life. Plugging charger in. charger green light on but no light in laptop. I left it like this and it started working agin after a few days. Have faced this issue 2 -3 times recently. It seems when the computer shuts down it just dies off untill a few days. Have tried flea power removal, unplug battery etc. Could it be CMOS battery issue of something else. when the laptop comes back to life its as if nothing happened everything is good. This feels like a faulty battery, but I could be wrong. You may need to take it to a technician for diagnosis.